Finding the best tactical knife is an important task. It can mean the difference between life and death. Luckily, there are many great options out there to choose from depending on your needs. 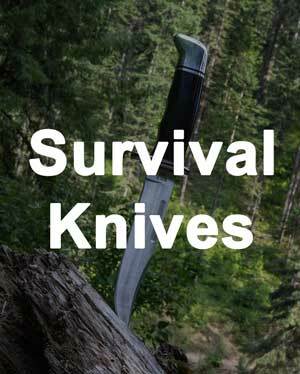 You see, a tactical knife might be needed for combat situations or self defense, so there are certain criteria to look for depending on how you plan on using your knife. A great combat knife is going to be one that is dedicated to aggressive fighting, which means it will be a fixed longer blade designed for that situation. Many users who are not military or law enforcement typically don't need a dedicated combat knife, and instead go for other tactical properties useful in self defense. These kind of knives are usually smaller with folding blades. In more everyday situations where knives are not possible, you can even use a pe﻿﻿n for self defense. In this article, I'm going to take you through 10 of the best tactical knives available right now. We will go over the different criteria to look for when getting a knife, and then walk through each of the best ones so that you can decide which one is right for you. If you are serious about defending your home, consider getting the right shotgun for the job versus relying on a knife. Let's walk through the different things to look for when getting the right knife for you. The 5 main criteria are knife type, blade type, blade length, blade material, and price. 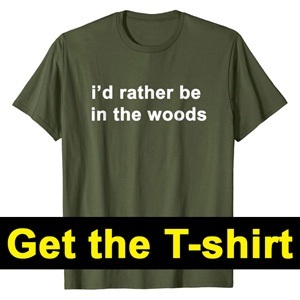 The biggest decision here is whether or not to go with a fixed or folding blade knife. If you need your knife specifically for combat, then go with the bigger fixed blade. If you want a knife for emergency and self defense, then consider a folding knife. For fixed blade knives, you should get what is called a full tang design. Full tang means that the metal of the blade is one piece and extends to the end of the handle for the best durability and performance. Naturally, folding knives cannot be full tang. Instead, they usually have a locking design to help keep them extended under use. Most higher quality folding knives have good locks, but this is definitely a part that can fail. For stabbing situations, you just take a gamble that a folding knife will not buckle under the stress. The longer blades are best for combat. Make sure and review your country, state, and local government laws on what knife you can carry on you, as most laws are specified by blade length. Longer blades are also harder to conceal. You should look for high quality steel when selecting your knife. This is the biggest single factor on affecting the price. There is a lot of debate out there on which type of steel makes for a better knife. The main thing you need to know is that the more carbon in the steel, the harder it is, meaning it will hold its edge longer, but is harder to sharpen. Another factor is if the steel has chromium (stainless steel) in it to help keep it from rusting. If not, it needs to have a good coating on it, but the blade edge will be vulnerable to rust. Many people have preferences on the type of steel that they like in their knives. 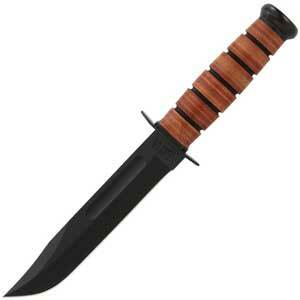 As an example, Ka-bar has used 1095 for decades serving the military, so it's great for combat. Folders are usually cheaper in price, and therefore use cheaper steels that still hold up perfectly for the job. 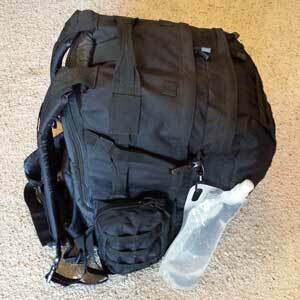 Most of the time, we have multiple pieces of t﻿﻿actical ﻿﻿gear to get and have a limited budget. However, we want the best quality for the cheapest price. 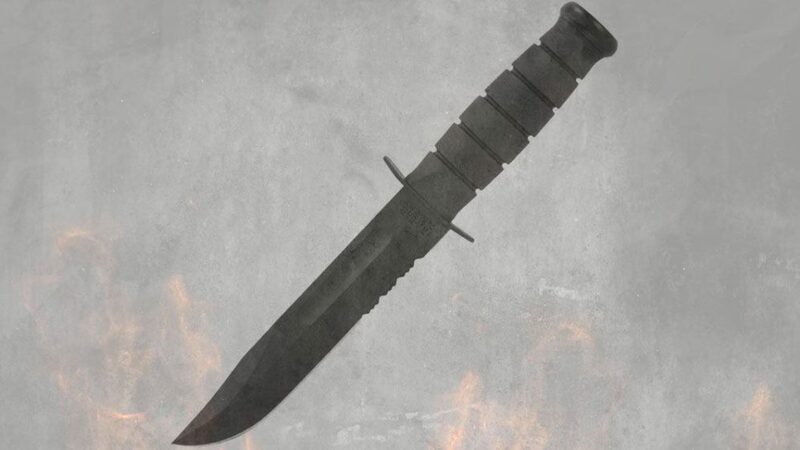 If we are looking at a knife for combat, then we should consider paying more for better quality. Many of us become brand loyal over time when we find high quality products that we learn we can trust. Here is an overview of a few of the different brands. Buck has been around for over a century. They make high quality products and are well known for their Forever warranty. Ka﻿﻿-bar is another knife company that has been around for over a century. They created a great design for the United States Marine Corps in WWII that they are still most recognized for today. They continue to serve the US military with great knife designs over the years. The Buck 119 Special is a classic that has been around for over 50 years. This fixed blade knife is designed for combat. The 6 inch blade is 420 high carbon stainless steel and full tang. The handle is made out of phenolic and aluminum. The knife comes with a nice fitted leather sheath. Hauntingly, the internet is full of stories from many vets that have said this knife saved their lives. This is by far the best self defense knife. The classic design looks great, is lightweight, and wields extremely well in the hand. 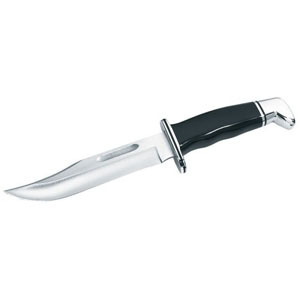 It comes in black or brown handle and sheath colors. This is the winner in top combat knives. If you are not a fan of the Buck 119 Special, then next on the list is the Ka-Bar USMC. 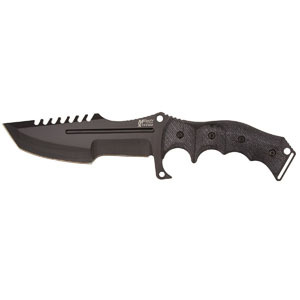 It's 7 inch fixed blade is a little longer, and is made out of 1095 Cro-Van steel. The blade is also full tang. The leather handle helps with keeping a good grip on the knife. It comes with a durable leather sheath. 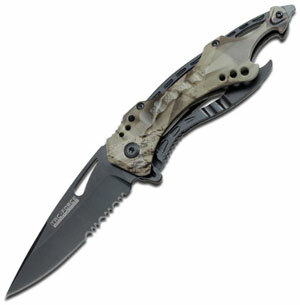 This knife is another awesome option for combat, is used by all branches of the USA military, and is a crowd favorite. It wins a tie for best knife for self defense. 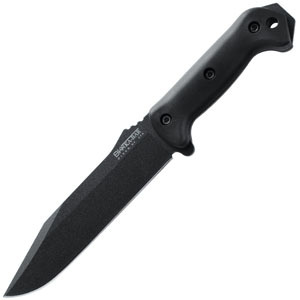 If you are looking for a smaller fixed blade at a cheaper price, then consider the MTech USA Xtreme MX-8054. The full tang blade is 5.5 inches of 440 stainless steel. The G10 plastic handle offers a great non slip grip. It comes with a Nylon sheath that is convenient. The handle has three holes in it to assist with attaching the knife to something to create a longer weapon. If you like the Ka-Bar brand, but are looking for a little bit different style on the blade and handle, then the Ka-Bar Becker BK7 Combat is for you. 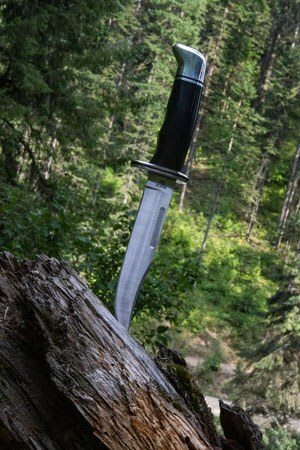 It has a fixed blade that is 7 inches long, full tang, and made out of 1095 Cro-Van steel. 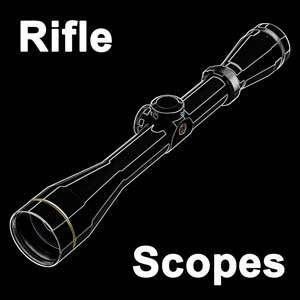 The handle is made out of glass-fiber-filled Nylon, and has a different type of grip. The knife comes with a plastic and Nylon sheath. Another great and popular option by Ka-Bar is the Ka-Bar Tanto. The blade is better designed for penetrating strikes in combat. It has a full tang fixed blade that is 8 inches long. The blade is made from 1095 Cro-Van steel. The Kraton G handle makes this knife fit comfortably in the hand. If combat is not the primary purpose of your knife, and you need one that will fit in your pocket and is a fall back for self defense, then here are the best folders. 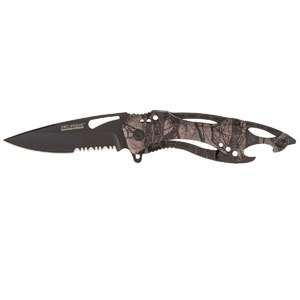 The TAC Force TF-705 is a wildly popular folder with a 3.25 inch blade and 1/2 serrated edge. It's aluminum handle also has a bottle opener and a glass breaker for use in emergencies. It comes with a pocket clip for easy carry. 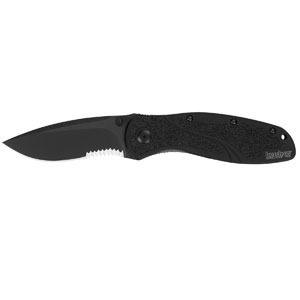 The Smith and Wesson Border Guard 2 Rescue is another great folder that has a 4.4 inch blade with a 1/2 serrated edge. It's handle also comes with a seat belt cutter and window breaker punch. However, users that have tried these features have said they don't work well. The knife blade is great though. This is the best folding knife for self defense by far. 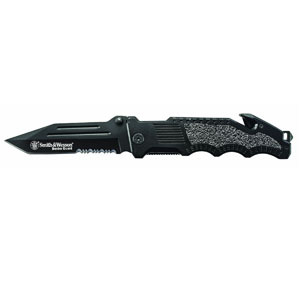 The TAC Force TF-707 has a 3.5 inch length blade and is 1/2 serrated. It has an aluminum handle that comes in many colors and a dragon pattern on it. There is a big hole in the handle for better control, and it comes with a glass breaker on its end. However, users have complained about the glass breaker, but love the knife. The Kershaw Ken Onion Blur is a great option. 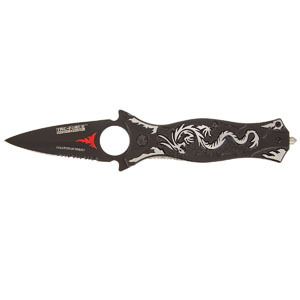 It has a 3.375 inch blade and is 1/3 serrated. The aluminum handle comes with a nice pocket clip. 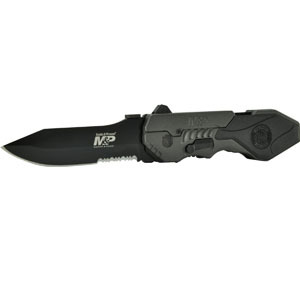 The Smith & Wesson SWMP4LS M&P has a 3.6 inch blade length. The blade is also 1/3 serrated. It has a nice handle that also has a glass breaker on the end. No reports yet from users that have actually fully tested the glass breaker. When it comes to finding the right knife for you, remember that you can get a dedicated combat knife that has a fixed blade and will be bigger. 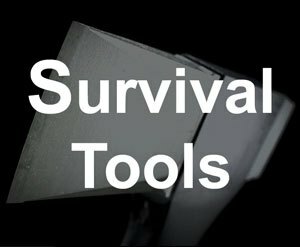 If you are looking for a knife just as a tactical option with a rare occurrence of needing to use it for self defense, then a folder might be the right option for you. 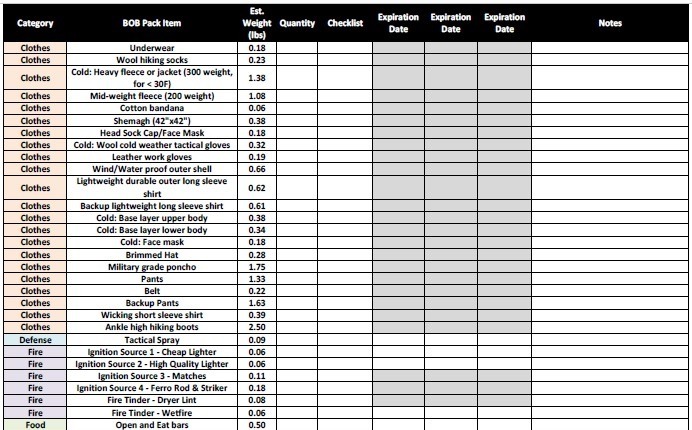 Remember the factors we discussed when making your selection based on blade type, length, and material. Also, be aware of the knife laws in your area before you buy to make sure you can actually carry it on your person or in your vehicle l﻿﻿﻿﻿egall﻿﻿﻿﻿y. In summary, there are a lot of factors to consider when getting a knife for combat and tactical situations. We discussed the different criteria for these type of knives. 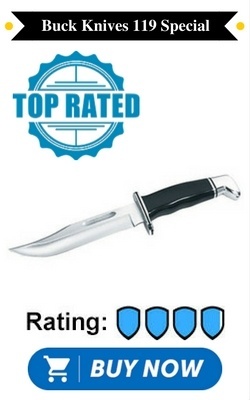 We looked at tactical knife reviews for the top 10 that are great options for you. Next, we went over some buying tips. If you are looking strictly for a knife for combat, then consider the Buck Knives 119 Special or the Ka-Bar USMC. Both of them are some of the best combat knives out there and have great reputations. 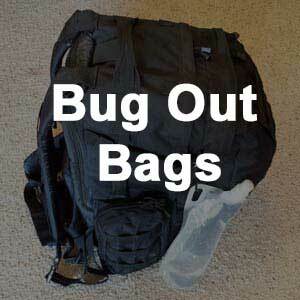 They also can be used for some survival situations. If you need something smaller and not fully intended for combat, then the TAC Force TF-705 is by far the best choice. I hope you enjoyed this article and I wish you the best of luck on selecting the knife that is perfect for you. When size and concealment are the main priorities, consider getting a knife you can wear.